Learn what to look for when buying your first piano! Tips and tricks on what to look for when buying a new or used piano. We have also included videos on maintenance and common problems found with used pianos. We offer everything from piano tuning and regulation to rebuilding. We can treat and clean your piano that has smoke, mildew or pet urine damage. Choose from new and pre-owned acoustic and digital pianos and organs. We carry new Yamaha, Young Chang, Baldwin and Lowrey instruments. 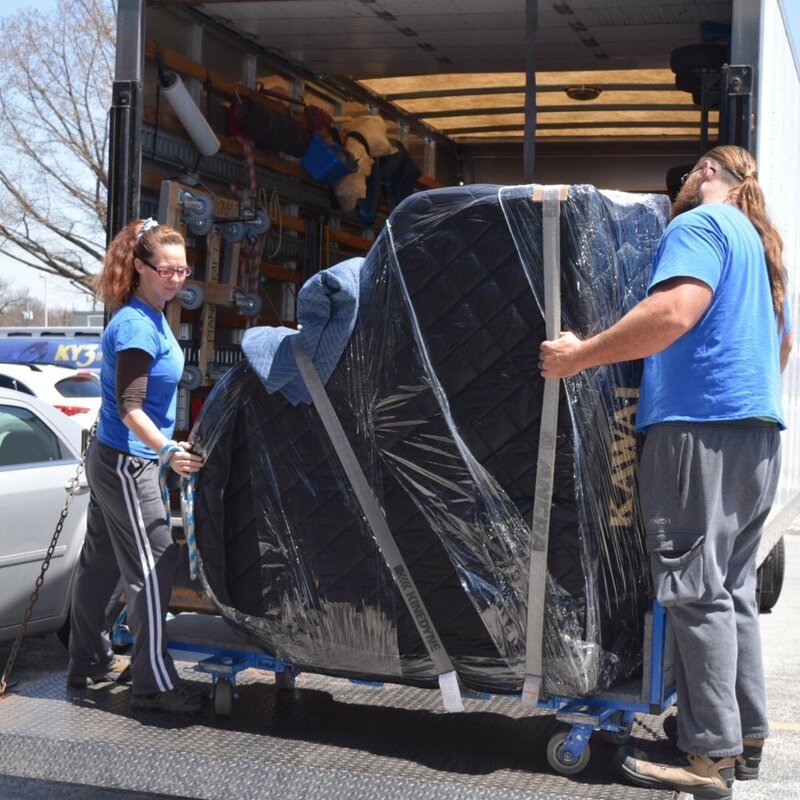 Our professional piano delivery team can move any piano in any location. We are equipped to move up to 9'6" grands up an entire flight of stairs. Call us for a quote. Learn to play any keyboard instrument the EZ way with our non-traditional method. We have a 100% success rate. You will play your favorite song in 8 weeks. We have used vertical pianos starting at $599.00. Prices are determined by age, size, condition and manufacturer. New verticals start at $3900.00. Used grands are from $1500.00 and new grands are $8900.00 and up. How often do I need to tune my piano? When you purchase a new piano, the strings are brand new and are stretching a lot at first, so we recommend tuning two times a year for the first few years. As the strings age and are stretched by the tunings they will stabilize and only require tuning once a year. Is it true that moving a piano will cause it to go out of tune? The only thing that causes a piano to go out of tune is a change in climate, meaning a difference in temperature and humidity. So no, the move will not affect the tuning. Do I need to place my piano on an inside wall? If you live in a newer, well built, insulated home, there is no reason to avoid placement along the outside walls of the home.